Seeing that traditional neighborhood crime prevention programs typically fail in rental neighborhoods prompted a police officer to get creative. That’s how the international Crime Free Multi-Housing Program began. Incorporating effective crime prevention ideas and tenant screening techniques, policeman Tim Zehring of Mesa, Arizona developed a program that took crime prevention directly to the place it was needed most – to rental properties. Through a multi-tiered approach that included education of landlords and property managers, and an inspection and evaluation of the premises by law enforcement, the Crime Free Multi-Housing program achieved almost instant success, with rental properties showing as much as a 90% reduction in crime or police intervention. Landlords and property managers sign-up for the Crime Free Multi-Housing Program offered by participating local law enforcement agencies. Once the landlord or manager has completed the program, they get to use the Crime Free Lease Addendum, the backbone of the Crime Free Program. This addendum to a typical lease agreement lists specific criminal acts that if committed on the property will result in immediate termination of the resident’s lease. Participation in the program discourages applicants who realizes they will not pass a criminal background check, which in turn attracts quality tenants, who crave the added security and increased quality of life. The next phase of the program is a security assessment, which is an on-site visit by local law enforcement officers who provide insights on safety concerns on a specific property and neighborhood. After that, the landlord or property manager attends a “Safety Social” to learn ongoing crime prevention techniques and network with others in the program. The program’s website boasts testimonials from law enforcement officers and landlords from Edmonton to Baton Rouge, California to Savannah, Georgia. Participants report consistent drops in crime on their rental properties and significant decreases in the number of calls to police. Tenants report an increased feeling of security and pride in the community. 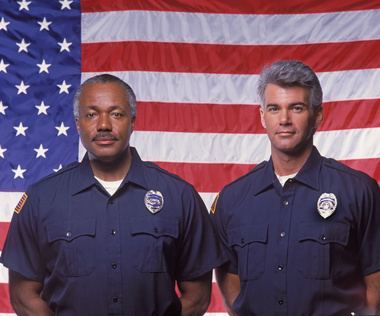 To find a Crime Free Multi-Housing Program offering in your area, contact your local law enforcement agency. To learn more, visit Crime Free Multi-Housing Program, or email Officer Zehring at TiminMesa@yahoo.com.